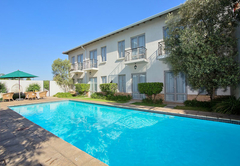 The Syrene Sandton Boutique Hotel is a 4 star graded boutique hotel offering Rivonia accommodation in 21 guest rooms. We welcome you to The Syrene Boutique Hotel, offering an extraordinary experience for the discerning traveller, for business or pleasure. Our unique serene aesthetics and attentive staff are combined with business class luxury and all the facilities needed for a comfortable and pleasurable stay. 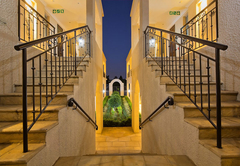 Our highlighting features: luxury accommodation, a collection of photographs by South African photographer Koos van der Lende, heirloom mini grand situated in our boutique restaurant, easily accessible location and on Gautrain bus route. 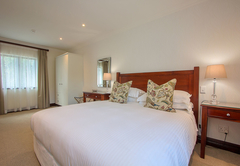 We host three luxury rooms, eight deluxe rooms with a pool view, eight deluxe rooms with a garden view, a standard room and a presidential suite fitted with all the comforts and facilities you may need. Daniella and chef husband, Paul Anthony Finney, will be your hosts throughout your stay and are always available to assist you. Some of our in-room facilities include: evening turndown service, complimentary in-room Internet access as well as Wi-Fi, LCD satellite television, tea and coffee making facilities, honour bar, hairdryer, desk and lounge, heated towel rails, floor standing bath and separate double shower, extra length king-size, beds in all rooms, individually controlled heating/cooling air-conditioning system, under floor heating, plush bathrobes and ladies and gents slippers, in-room electronic safe. Enjoy a peaceful and quiet gourmet breakfast or lunch in the Elm Tree restaurant, or on the patio under The Syrene`s beautiful old elm tree, while our local birdlife entertains you. Classic French styled dishes. 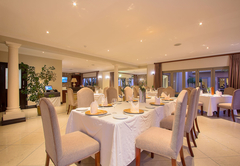 We host small intimate dinners and functions in our elegant restaurant. 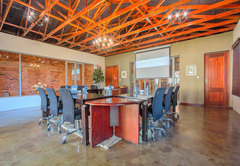 Our spacious conference room seats up to 24 delegates around our executive boardroom table with gauze back seating adds to our comfortable, executive environment. We also offer other formations are available. The conference room is fully equipped with a projector and screen, complimentary wireless and Internet access and blackout curtains ensuring total privacy. If you have any special requests we will endeavour to meet your needs. 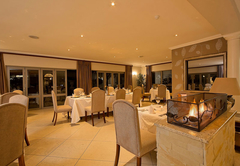 Our hotel is suited to a relaxed, intimate function. 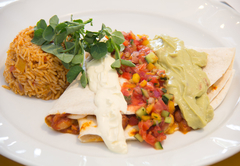 We can accommodate up to maximum 30 guests with our plated lunch or dinner menu. Our beautiful heirloom piano will create the ultimate elegant affair. Contact us for more details. 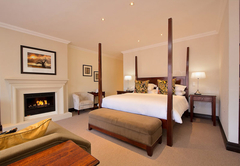 Alternatively our Presidential Suite is the perfect honeymoon night experience. The Honeymoon Suite includes a romantic turn down and a delightful farmhouse breakfast with your new husband or wife the next morning. 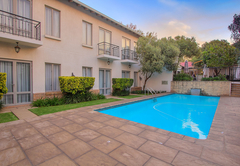 We are ideally situated and easily accessible from OR Tambo International Airport (via the GauBus 100m from our doorstep to the Gautrain at the Sandton Station), the N1 highway (motorway) and Sandton CBD. 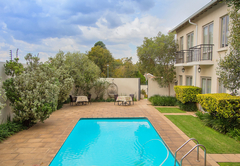 We are only a short distance away from Johannesburg's major business centers; Sandton, Sunninghill, Woodmead, Fourways and Bryanston. 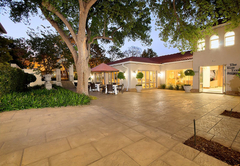 We are also central to Johannesburg's many tourism, cultural and entertainment attractions. 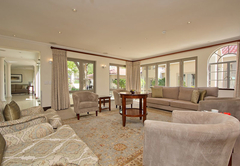 Our Presidential Suite boasts 60m2 of refined luxury. Our rates include breakfast and complimentary internet and Wi-Fi. We have 8 Deluxe Suites all with a pool view. 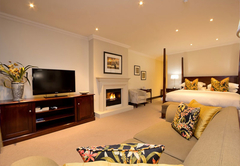 We offer luxury to business & leisure travellers. Work from the comfort of your spacious room (44 m2 ) with access to complimentary Wi-Fi. 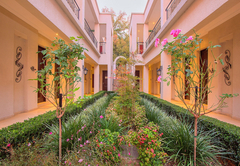 We have 8 Deluxe Suites all with a garden view. 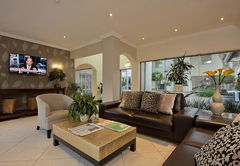 We offer luxury to business & leisure travellers. 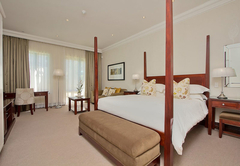 Work from the comfort of your spacious room (44 m2 ) with access to complimentary Wi-Fi. This is the smallest room we offer but feature all the luxury efficiency of business & leisure travel. Work from the comfort of your spacious room with access to complimentary Wi-Fi. 32m2 of space. We have 3 fully equipped luxury suite (36-40m2) which offer the luxury and comfort of home with a 5-star attitude and service. Our rates include breakfast and complimentary internet and Wi-Fi. 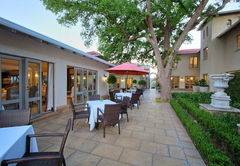 Response timeThe Syrene Sandton Boutique Hotel typically responds to requests in 5-10 minutes.